Set in the Wasteland of a post apocalyptic parallel future of 1997, an orphaned teenager named The Kid is scavenging for relics when he befriends a mysterious girl. Yet, when she is kidnapped by Zeus, the tyrannical leader of the Wasteland who murdered The Kidâ€™s parents, The Kid must face his ultimate destiny: destroy Zeus, avenge his parents' death and get the girl of his dreams. Turbo kid is like the 80's classic RAD made sweet love to The Toxic Avenger… It's a futuristic BMX bloodbath of the highest order. I love this movie! I cannot recommend it enough! It is definitely a new cult classic in my eyes! The practical effects are very well done and over the top. The actors do a great job of conveying sincerity in their roles. They know that the movie's premise is ridiculous, yet they play their parts so serious and straight. There is actually quite a bit of emotion conveyed in this movie. The 80's throwback style soundtrack is also perfect. I'll be watching this movie many more times throughout the years. 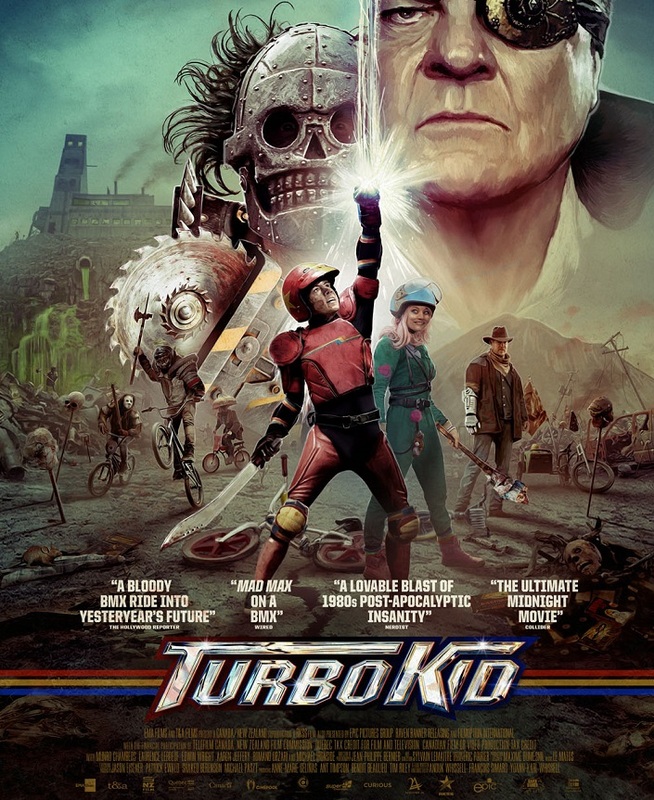 Turbo Kid was like the 80's of my childhood came back and kicked me in the junk and said "remember ME!!!"